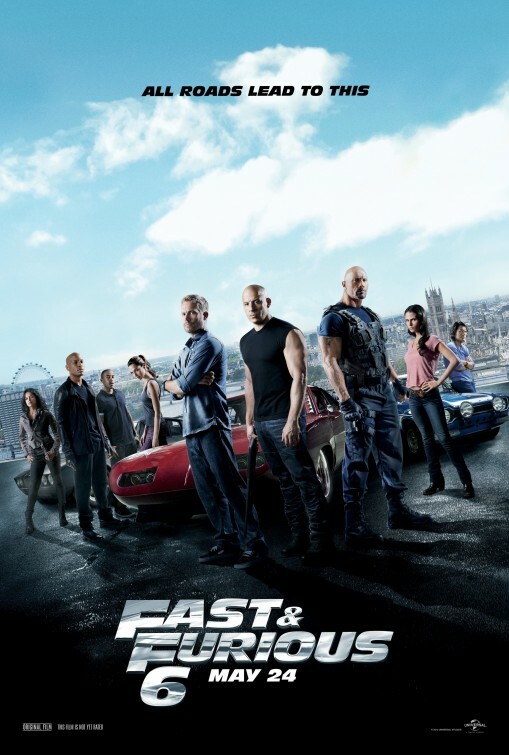 The first five Fast and Furious movies grossed a total of $699,105,181 at the box office, according to IMDB.com. So the level of excitement for the sixth installment, “Fast and Furious 6″ (and Vin Diesel already confirming a seventh movie) should come as no shock. What is it about this series that makes it such a box office draw? The answer is simple: copious amounts of fast cars and action sequences. Though you won’t be able to find many (if any) of the cars featured in “Fast and Furious” at your local automall, you’d be surprised how many of those cars have close relatives being sold in your area. A search on a local dealership’s website with an inventory of 600-700 vehicles, like VandergriffToyota.com, shows several cars that are more similar to some of the Fast and Furious cars than you’d think. Let’s look at some of the vehicles in the upcoming Fast and Furious movie and their more common relatives available at the average dealership. Before anybody goes crazy, yes these two cars are in a different class from one another. The GT-R is the newest and greatest race machine from Nissan and is referred to by MotorTrend as a “545HP Godzilla.” The Z350 looks meek in comparison with only about 300HP, but don’t let the GT-R’s gaudy numbers fool you, the Z is still a well above-average fast car that handles well. Both the GT-R and the Z350 are the lineage of famed 1970 Datsun Z series and boast impressive engineering. The Ford Mondeo made a brief appearance in America as the Contour, but sales were underwhelming and since Ford had other midsize options, they chose to discontinue it in the U.S. A mainstay in Europe, Mondeo is basically the Ford Fusion with a European aesthetic. The actual make-up of the Mondeo different (no CD3 platform), but the similarity is striking. Oh, you didn’t know Mercedes did big honking trucks? Well they do and they’re called Unimogs. Referring to a wide range of industrial-style vehicles, Unimogs are typically big and stuffed to the roof with power. Unless you have need for an industrial grade-work truck you’re probably better off with the G-Klasse. This diminutive, boxy SUV-type vehicle is better known for its eccentric looks than performance, but it has it where it counts with 382HP at 6000 rpm and 391 ft-lbs of torque at 2800 rpm. These two vehicles are more like twin brothers than distant cousins in that instead of being approximate to one another like the aforementioned cars, they are the same with a different name. Though the Bora A4 has a cooler-sounding name, it has no other edge over its American counterpart. If you like the Bora A4 you see in Fast and Furious 6, you can just go get one. This tank makes Hummers look like toys. The gas mileage isn’t all that good, but there is a cannon to blow holes in mountains so you can just drive straight through them.